Landscaping - Tree Top Nursery & Landscape Inc.
Our design process begins with finding out what fits your personal tastes and lifestyle. We then create a design which fits these needs. We do everything from on-site consultations, sketches, computer designs, to construction, renovation, and installation. From the beginning vision to the finished project, rest assured Tree Top’s landscaping department will exceed your expectations! 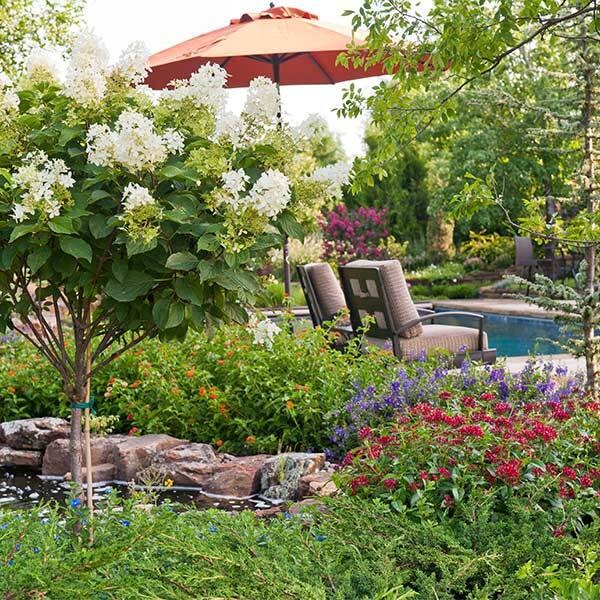 Our landscapers work with you from start to finish coordinating every aspect of your project. As with everything we do at Tree Top, we will stand behind our work and follow up when you need a professional on site. Quality stonework lasts a lifetime. Our designers and installers have years of experience in producing beautiful stone walls, patios and walks. The splendor of stone hardscapes adds a sense of permanence to your yard. 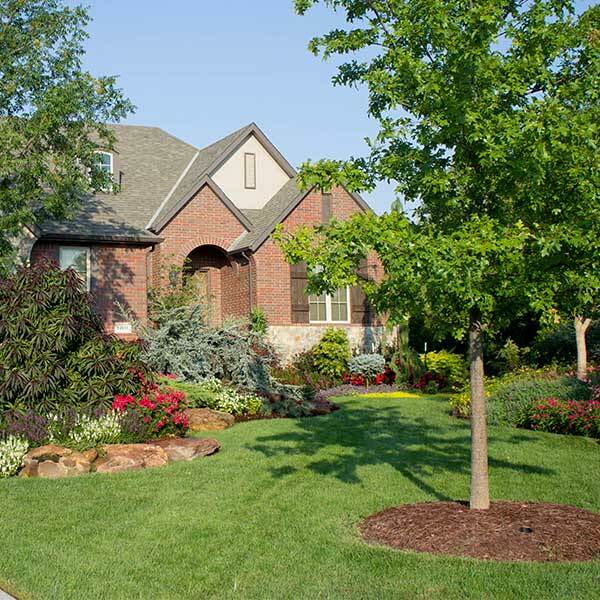 A lush green lawn is an important part of your landscape. Tree Top is experienced in soil preparation for hydroseeding and sod installation. We use only the finest seed and sod varieties available. Landscape lighting brings added beauty, safety and security to your home or business. We design and install outdoor low voltage lighting systems to create more quality time in the garden. Tree Top designs and installs waterfalls, streams, ponds, and fountains. Creative use of water adds so much to your landscape. It brings nature’s sights and sounds to your backyard. Have a tree that needs to be moved? Tree Top’s spade trucks can move trees up to 12 inches in diameter.